For the first time, the American Heart Association has issued a statement cautioning that drugs used to treat a variety of conditions can cause or worsen heart failure. Patients should show each of their healthcare providers a complete list of their medications, including over-the-counter drugs and natural supplements. Patients with heart failure should consult with a health professional before starting or stopping any medication. DALLAS, July 11, 2016 — Commonly used medications and nutritional supplements may cause or worsen heart failure, according to the first scientific statement from the American Heart Association to provide guidance on avoiding drug-drug or drug-condition interactions for people with heart failure. The statement provides comprehensive information about specific drugs and “natural” remedies that may have serious unintended consequences for heart failure patients. Heart failure patients have, on average five or more separate medical conditions and take seven or more prescription medications daily, often prescribed by different healthcare providers. 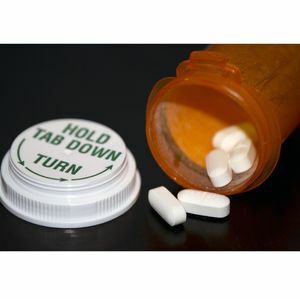 “Since many of the drugs heart failure patients are taking are prescribed for conditions such as cancer, neurological conditions, or infections, it is crucial but difficult for healthcare providers to reconcile whether a medication is interacting with heart failure drugs or making heart failure worse,” said Robert L. Page II, Pharm.D., M.S.P.H., chair of the writing committee for the new scientific statement published in the American Heart Association journal Circulation. Healthcare providers should talk to patients with heart failure at every visit about all prescription and over the counter medications they may be taking, as well as nutritional supplements and herbs, said Page who is also a professor in both the Department of Clinical Pharmacy and the Department of Physical Medicine/Rehabilitation at the University of Colorado Schools of Pharmacy and Medicine at the University of Colorado Hospital in Aurora, Colorado. In addition to prescription medications, over the counter drugs may also have unintended consequences for heart failure patients. 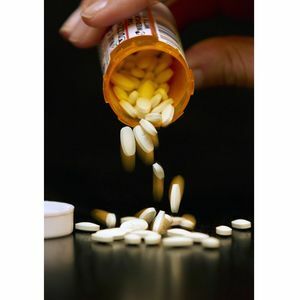 For example, non-steroidal anti-inflammatory drugs (NSAIDs), including commonly used painkillers such as ibuprofen, can trigger or worsen heart failure by causing sodium and fluid retention and making diuretic medications less effective. Over-the counter heartburn medications and cold remedies may also contain significant amounts of sodium, which is usually restricted in patients with heart failure. “Patients have been taught to read food labels for sodium content, but they also need to read labels on over-the-counter medications and natural supplements,” Page said. Many supplements used in complementary and alternative medicine can be dangerous for people with heart failure, including products containing ephedra (which raises blood pressure) and others (including St. John’s wort, ginseng, hawthorn, danshen, and green tea) that interfere with one or more commonly used heart failure medications. The statement also notes that nutritional supplements, herbs and other “natural” remedies should not be used to treat or manage heart failure symptoms. “Keep a list of all your medications and doses to show at every medical visit, and inform a healthcare provider treating your heart failure before stopping or starting any medication. Ideally there should be a “captain” who oversees your medications. This person might be a physician, advanced practice nurse, nurse or a pharmacist who is managing your heart failure,” Page said. According to the statement, medications can cause problems in several ways: being toxic to heart muscle cells or changing how the heart muscle contracts; interacting with medications used to treat heart failure so that some of their benefits are lost; and containing more sodium than advised for patients with heart failure. “My hope is that this statement will be used by healthcare providers in all medical specialties to educate themselves about drugs that can exacerbate or cause heart failure,” Page said. Co-authors are Davy Cheng, M.D., M.Sc. ; Tristan J. Dow, M.D. ; Bonne Ky, M.D., M.S.C.E; C. Michael Stein, M.B. Ch.B. ; Cindy L. O’Bryant, Pharm.D. ; Anne P. Spencer, Pharm.D. ; Robin J. Trupp, Ph.D., A.C.N.P.-B.C. and JoAnn Lindenfeld, M.D., Co-chair on behalf of the American Heart Association Clinical Pharmacology and Heart Failure and Transplantation Committees of the Council on Clinical Cardiology; Council on Cardiovascular Surgery and Anesthesia; Council on Cardiovascular and Stroke Nursing; and Council on Quality of Care and Outcomes Research. Author disclosures are on the manuscript. After July 11, view the manuscript online. The American Heart Association/American Stroke Association receives funding mostly from individuals. Foundations and corporations donate as well, and fund specific programs and events. Strict policies are enforced to prevent these relationships from influencing the association’s science content. Financial information for the American Heart Association, including a list of contributions from pharmaceutical companies and device manufacturers, is available at www.heart.org/corporatefunding. 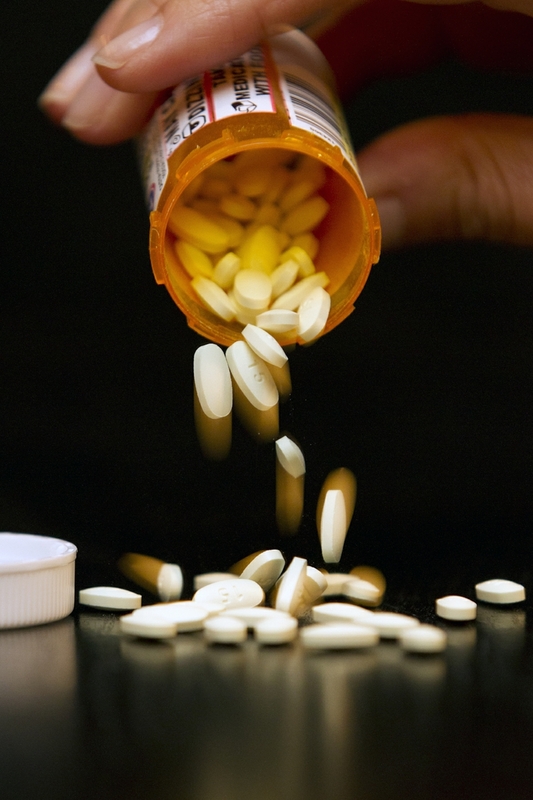 Close up of prescription drug bottle on its side with pills spilling out. Bottle cap reads "hold tab down" and "turn"